Are you looking for an inexpensive and cheap hotel in Boston? You are not alone. According to a new study by GoEuro, Boston is the 6th most expensive city in the world for accommodations and the most expensive city in the world for AirBnB bookings. Ouch. However, just because hotel rates in Boston can be expensive, doesn’t mean you can’t find an inexpensive hotel in Boston without sacrificing quality. First off, Boston Hotel prices can vary A LOT depending on your dates and what is happening in the city. Generally speaking, you will get the best hotel rates in the winter months, but not always. The more flexibility you have with dates, the better rates you may find. (October is usually the most expensive month with some exceptions). Also, Boston is a walking city and you may be surprised how close attractions are together. If you do visit Boston, please do not rent a car. Parking is expensive and there are a lot of one-way streets which can make driving in Boston difficult. The MBTA is a great way to get around the city as well as walking. Below is a map of (some) Boston neighborhoods and a great start in figuring out where to stay that is close to tourist attractions, Boston transit, and more. The Back Bay is personally one of my favorite locations in Boston, but many others will prefer to stay closer to Boston Common or Faneuil Hall. All of these areas are great locations to stay but don’t feel limited to those two areas if your budget can’t warrant it. The nice thing about Boston is that it is a walking city and you can easily get to many attractions on foot. 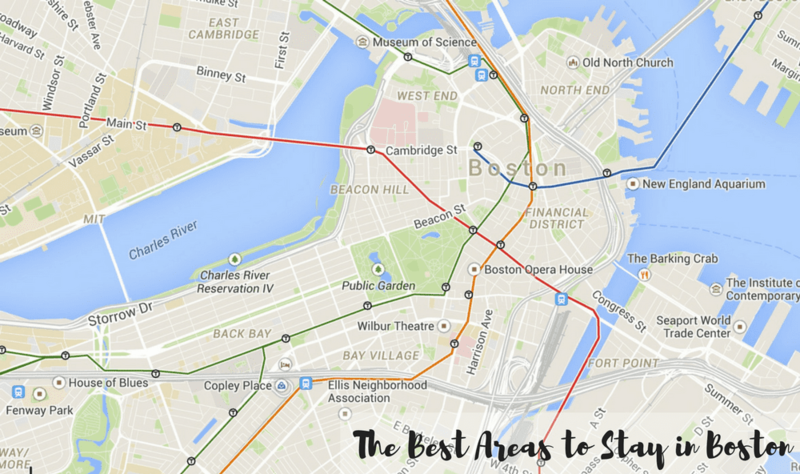 There are also spots in Charlestown, Cambridge, South End and more that you may want to include in your hotel search that are not shown on the map, if you are having a hard time finding a hotel within your budget (just make sure there’s good MBTA access). Boston hotels can be pretty expensive, but try not to get to discouraged if you are having a hard time finding a hotel within your budget…. you might have to get a little creative or be a little more flexible with dates and preferences. *Note: This post does contain affiliate links and I receive a small percentage of sales if you make a purchase through my link. Thank you. A great way to get save money on Boston Hotels is using a service like Priceline to bid on hotels at a price you are comfortable with. You may not end up with a hotel at ridiculously low price, but chances are you may score a great hotel below the going rate in a decent location. LastMinuteTravel.com is a booking website similar to Priceline.com where you cannot see what hotel you end up until the end. However, the nice thing about Last Minute Travel is the site isn’t that secretive and discreet with the majority of Boston hotels. If you find a hotel you are interested in, check out the photo section and a lot of times there will be a picture of the front of the hotel or a picture of the lobby with the hotel name. Also, they give a lot of information in the description, so if you cannot tell by pictures, you may be able to tell by a quick google search with the number of rooms, location, etc. Last Minute Travel may be a good option if you cannot give up complete control and not know what hotel you are staying in. BTW, I have no idea why there name is Last Minute Travel because I’ve noticed good deals in Boston months in advance so don’t let the name fool you. If you are looking for last minute hotel deals, you may also want to check out Hotel Tonight. I have the app right on my phone and it’s easy to view available hotels for the night and for upcoming dates as well. If you are new to Hotel Tonight, you can use my referral code KAJORDAN39 for a free $25 credit when you spend $135 more on your first booking! If you don’t have much luck with LMT or Hotel Tonight, you can try to bid for a discount hotel with Priceline or Hotwire. Just remember that these discount hotel rates are non-refundable and you can’t switch hotels after you book or get a refund. Make sure you know what star rating you want, what area and what price you are willing to pay. These hotel bidding sites are perfect for travelers who need a spot to sleep at night and don’t need specific hotel preferences or amenities. I like starting with a high star count and my ideal locations when I bid. (Disclaimer: Since I live in the area, I’ve never used bidding sites for Boston specifically, but have used the sites for personal travel with luck). However, if I was bidding for a hotel in Boston below are the areas that I would start with first that are in great locations and near a lot of tourist attractions! (If your bid gets rejected, you’ll then have to decide whether to raise your price and/or add a location or lower a star rating. There are other locations to choose from in Boston that may work awesome for you, I just included the best locations for the value). *There maybe two areas that are considered waterfront depending on the website. The preferable Waterfront area is near the New England Aquarium stretch. The other waterfront area is in the Seaport District in South Boston. It’s not a bad area, it’s just a little further from big tourist attractions. Also, check out sites like BetterBidding.com and forums to see what hotels other guests are receiving with similar bids to yours to help make a more informed decision. Hopefully you’ll find some great hotel deals through one of these sites! Good luck! Yes, apparently Boston is the most expensive city for AirBnB rates, however, that doesn’t mean you can’t find a great deal. If you are not familiar with AirBnB, people will rent out a room or their entire space to you and you can reserve the space through AirBnB’s website. I used AirBnB for a wedding in a popular summer destination town where hotel rates were absorbedly expensive and I had a great host and experience; however, experiences can vary depending on your host and accommodation. Make sure to read reviews and do your research before booking as I’ve heard horror stories associated with AirBnB as well. The map mentioned above is also a good starting point for AirBnB rentals, but there are others areas in Charlestown, Cambridge, South End, and more that are great to add to the list. Make sure you can walk to the T from the location, so it’s in a convenient location. If you are new to AirBnB, you can receive a free $40 credit with AirBnB that you can use on bookings of $75 or more! Awesome! Unique Accommodations can be found through AirBnB but can also be found through Homeaway and VRBO. Both sites include apartments, condos, and more available to rent for the weekend, week, or even longer! Renting someone’s place is a great options for families and groups looking to save money because less hotel rooms are needed and more space would be available. Also, apartment rentals may have a kitchen and other nice perks to help save money on eating out, laundry, and more. You may end up paying more upfront on accommodations, but may end up saving more by cooking meals in the kitchen instead of eating out three times a day. Looking at different options besides the traditional hotel room is a great way to save money, especially for big families and groups that may have different travel needs. Some daily deal sites offer a getaway section and will offer deals on Hotels. Groupon has Groupon Getaways and will often offer discount rates on hotels in Boston and in New England. LivingSocial Escapes will also have hotel deals and local escapes often. It’s worth looking every week or two on both sites just to see if there’s any hotel deals that may be a good fit for you. Make sure to read the terms because most hotel daily deals are offered to get rid of excess rooms and may not be available during peak travel times like holiday weekends and more. A lot of visitors assume that staying outside the city of Boston is the best way to save on hotel costs. However, you may be spending just as much to stay outside the city plus spending a lot more time traveling each day. Not all suburban hotels offer free parking on-site and you may still need to drive and park at a train station or a city garage as well as the cost of the T, so travel expenses can quickly add up. Also, plan on at spending at least 40 minutes commuting by train into the city one-way, which can take up some valuable sight-seeing and vacation time. For example, a CharlieTicket (to ride Boston’s Subway System: The T) will run $5.10 to and from and large MBTA parking lots tend to charge $5-7 a day for parking. For example, a family of 4 could pay over $27 a day to park at a T lot and then take the T in on top of car rental costs (if applicable) and gas. Typically I do recommend staying inside the city and walking and taking public transit everywhere. However, in some cases staying outside of the city may be the best option depending on how busy the city is or your exact travel plans. Newton is west of Boston and is on the green line with multiple stops ending with the Riverside stop. Quincy and Braintree are south of Boston with easy access to the red line and Somerville and Medford has good access to the Orange line from North of Boston. There are some hotels in the cities mentioned above are within walking distance to the MBTA and some hotels offer a free shuttle service if they are a few miles away. There are other hotels that are walking distance to a commuter rail in towns like Dedham and Norwood, but keep in mind that the commuter rail is more expensive and runs less frequently. If you do decide to stay outside the city and take the T into the city, Riverside (west/green line), Alewife (Cambridge/red line), Quincy Adams (south/red line) and Sullivan Square (north/orange line) are popular MBTA parking garages, although not to say that other parking garages won’t work. For example, some parking garages like Braintree will fill up on a weekday by 8am, whereas, the next parking garage up, Quincy Adams, has a lot more parking spots and availability. 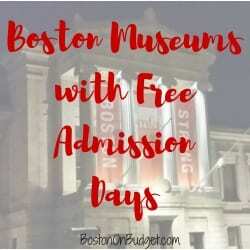 Hope you found this post helpful, especially if you are hoping to visit Boston for the first time and found hotel prices a little discouraging. There are a lot of great options and ways to save money. Feel free to reach out in the comments below if you have any questions about the above or want to run a particular location or plan by me. 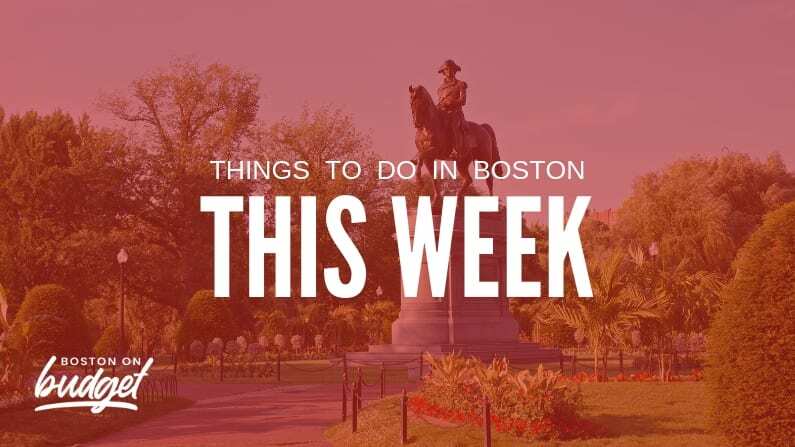 If you live in Boston, do you have any hotel tips for the Boston visitor? What is your favorite location and/or hotel to recommend to family and friends who are visiting? *This post does contain some affiliate links to help maintain the cost of this blog. However, I do recommend everything above whether I am getting a little something back if you book through my link or not. Please see my disclosure policy if you have any questions. Thank you for your support.